The Van T’s, who have played at T in the Park, Wickerman Festival and Electric Fields this summer will be playing a headline show at Edinburgh’s Opium alternative club, on 30 October. Formed in around 2013 by twins Hannah and Chloe Van Thompson, with Shaun Hood and Joanne Forbes joining the band on drums and bass, The Van T’s have already enjoyed widespread praise from blogs and radio including Bella Union honcho Simon Raymonde. Despite their newcomer status, their songs are as revitalised a debut as you could hope for. Rapturous surf-pop with rock swagger balanced by sugar-pop harmonies have won over numerous fans already. 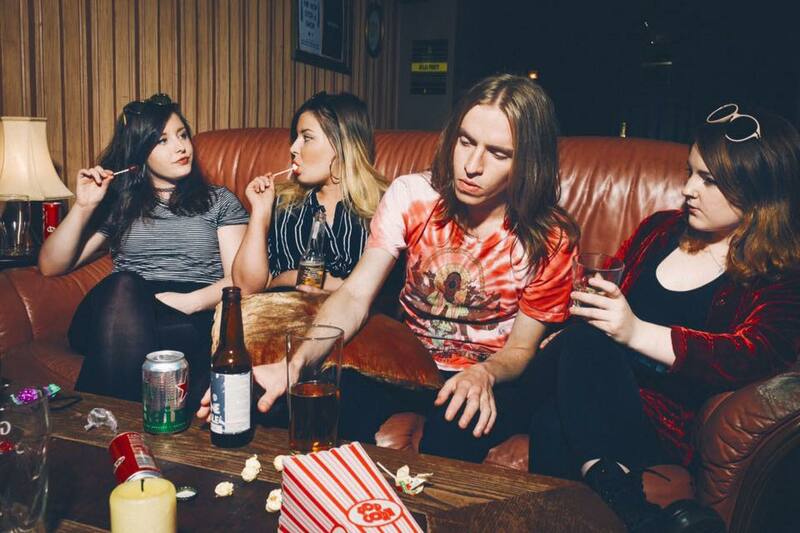 With influences ranging from First Aid Kit to Wolf Alice, this quartet are the new smell of teen spirit. Support bands on the night will be local Edinburgh bands Thirty Three Connection and The Social Order.